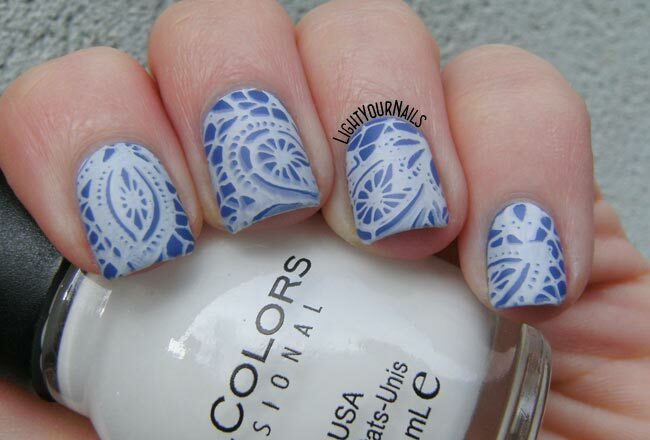 Blue and white lace stamping for Nail Crazies Unite | Light Your Nails! E' vero! Sono proprio i colori di Santorini! Very pretty! I considered doing nautical themed nails for this mani as well, but... didn't. Ha ha I'm kind of surprised nobody has done it for this prompt! Haha I'm glad it's not only me! Thank you Rachelle! I love it. There's something so classy-folksy about white-and-blue designs! Thank you! White and blue is an always favourite for me! 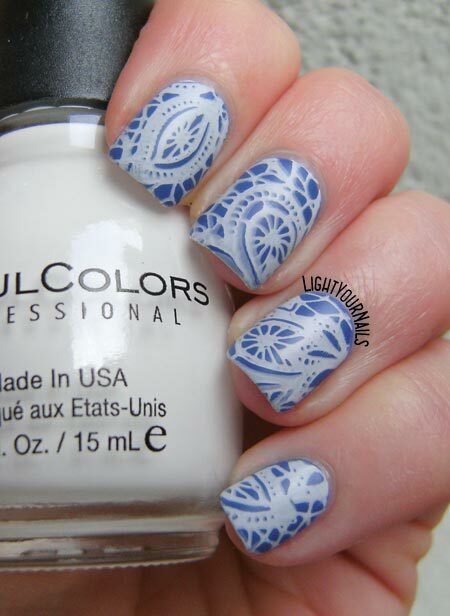 I really like the blue and white together! I hate when I press too hard when stamping and smudge the image, but then when I step back and look at it, I like it and it doesn't bother as much as I thought it would. 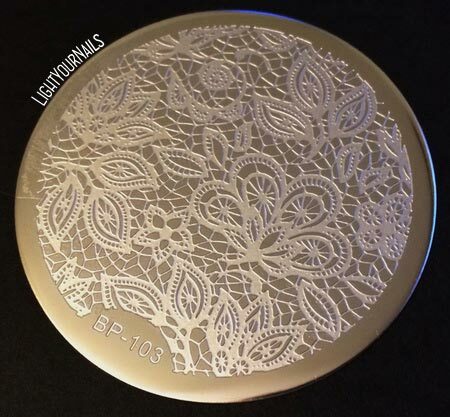 The stamping image is really pretty! I love it how these turned out! The blue is such a unique colour. I really like this. I love this blue, I am pretty sure I'll use it over and over! I so wish I could stamp this well! It's beautiful! It is adorable. So refined.